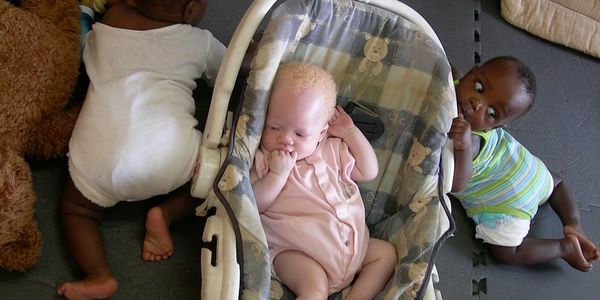 People with albinism living in Malawi are being abducted, mutilated and killed for their body parts which are falsely believed to have magical powers. These brutal murders are made worse by the belief that causing the victim to scream more will enhance the magical powers of their body parts. The bodies of people with albinism can sell for up to $75,000 in the illegal market, putting a price tag on people with albinism and incentivizing violence against them. An estimated 7,000 to 10,000 people with albinism live in Malawi where they have to fear for their lives every day and face societal discrimination through taunts calling them "ghosts" and "fake white person" and exclusion from society. Victims of harassment and violence are mostly children or young adults. Although the government has taken steps to address this urgent human rights issue, more action needs to be taken. Since 2014, 150 cases of killings, attacks and other violations against people with albinism have been reported in Malawi, according to the United Nations. On December 31, 2018, a man with albinism named Yasin Phiri was brutally murdered in front of his nine-year-old son. The attackers stabbed him in the stomach, cut his arms off and removed his intestines. We respectfully urge the president of Malawi increase funds for enforcement efforts to ensure that officers, prosecutors and magistrates have the proper resources and training to address this issue. Additionally, the government should increase efforts to educate locals about the myths surrounding albinism which can reduce demand for their body parts and end discrimination against people with albinism.